Once clicked you will see the following popup form. 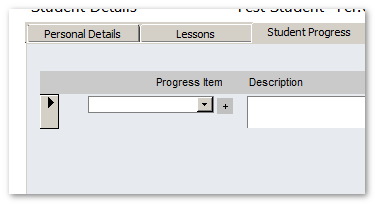 Simply click the [+] next to the Student heading on the booking screen. If you want to record all the student info in full you can quick add the name and edit later or open the regular student screen. Click on the [ i ] button on the far right of the booking on the booking screen. A popup will appear and you add / edit your notes. Here you can see the student has been assigned 100 credits via the student screen. 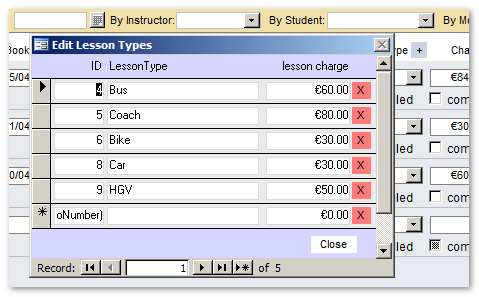 Now the student's lessons will be updated to show it has been completed and paid. The remain credits are left on the students account. See the balance of 16 after 84 was taken as payment using the 100 credit balance.